Which Is Cleaner – Your Carpeting Or Your Toilet Seat? No one would never think of eating off our toilet seats, but what about our carpets? If you frequently pick up and consume food that have inadvertently fallen onto the carpet, you may want to rethink your approach. According to a study by Dr Philip Tierno, a microbiologist and immunologist at New York University’s Langone Medical Center, carpets are much dirtier than toilet seats. 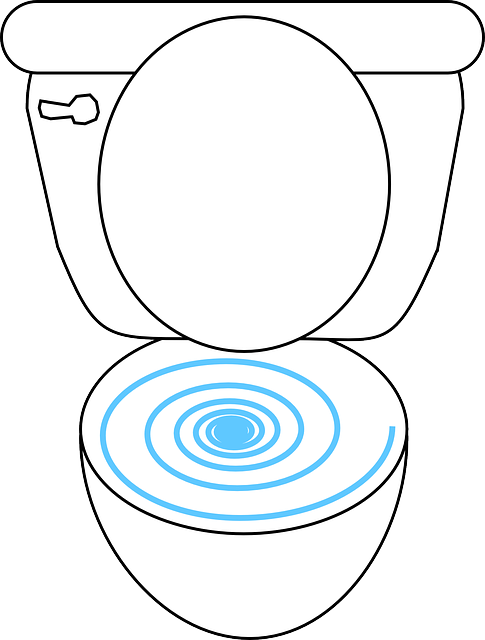 According to Dr Tierno, toilet seats contain 200,000 bacteria per square inch. Compared to a toilet seat, it scores a whopping 4000 times higher in bacteria content. Not only that, the bacteria come in all kinds of types and species. Dr Tierno, the author of the book The Secret Life of Germs, wrote of one family where members repeatedly fell ill as a result of coming contact with Salmonella germs from their carpet. Their problem was compounded by the use of a leaky vacuum cleaner that kept recycling the germs. Germs thrive in carpeted environments, as they receive an abundance of “food” to feed upon. From human skin cells to food particles, pollen, pet hair and more, there is an unending supply of food material to sustain the germs and bacteria. According to Prof Charles Gerba of the University of Arizona, when we walk on our carpeting or stomp around on it with the kids, it can disrupt the bacteria and bring them closer to the surface. 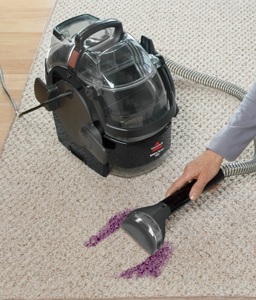 In order to keep your carpets clean, regular vacuuming is important. While vacuuming can be helpful, it is limited in effectiveness. According to Dr Tierno, the suction and brushing from vacuum cleaners usually does not lift the germs off the bottom of the carpeting. Germ varieties like salmonella, E. coli, staphylococcus and more can be present. Since vacuuming only removes surface level germs and dirt, it’s a good idea to complement regular vacuuming with deep carpet steam cleaning. You can do this either with your own machine or hiring a professional carpet cleaner. The pros and cons of each method, DIY or hiring professionals, have been discussed here. 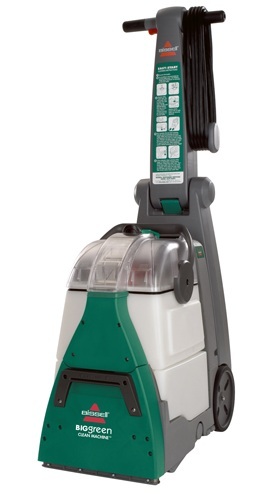 Whatever method you choose, having a portable spot machine to clean up messes as they occur can help to curtail the growth and spread of germs before you get around to doing a whole room cleaning project. Another insight offered by Dr Tierno, in his book The Secret Life of Germs, is to adopt the Japanese practice of using separate footwear for the home and out of the home. In typical Japanese households, members of the family wear slippers that are just for home use. They will change into their outdoor shoes near the door. Thus, they will not bring any germs and dirt from the outside indoors. Visitors would do the same, taking off their shoes at the door. In western cultures, it may be get tricky. While this may be easy to implement for household members, it can be problematic to require all guests to take off their shoes at the door.